The Cove Spa is a modern fiberglass spa shape that can comfortably hold up to 3 bathers. This modern design is actually our smallest fiberglass spa model – which makes it perfect for small backyards! The Cove Spa is a unique fiberglass spa that has a 6′ 1″ x 6′ 1″ square layout. Although the outside perimeter is a square shape, the inside orientation is at a 45^ diagonal. 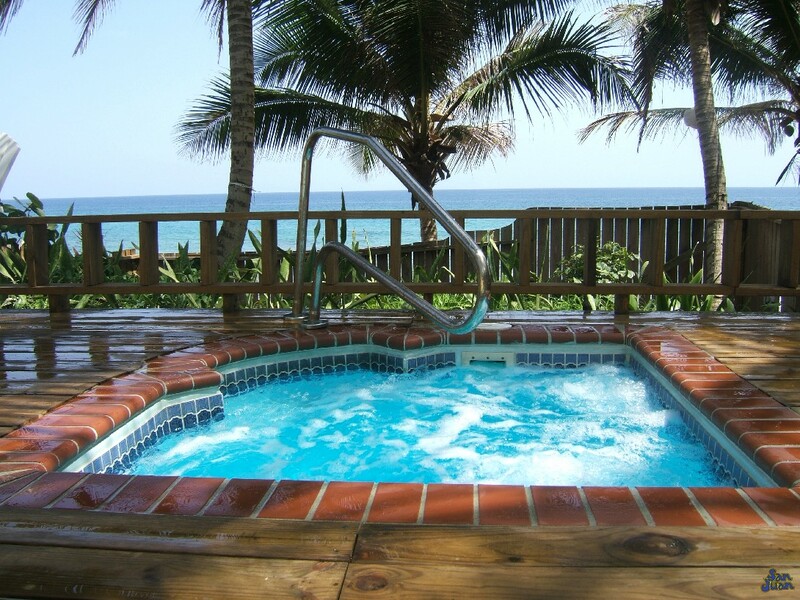 Therefore, the Cove Spa is a very modern shape that can be situated diagonally to a fiberglass pool for added allure. Or you can orient it parallel to the pool for clean lines. However you position the Cove Spa in your backyard, you are bound to love the layout and its characteristics. In addition to its layout, the Cove Spa includes a bench seating arrangement large enough for 3 guests. It also includes a flat bottom layout and corner entry step. Lastly, the Cove Spa is our smallest fiberglass spa design with a maximum surface area of only 26 SQFT! This allows you to situate the Cove Spa in practically any space in your backyard, apartment or hotel community. As stated above, the Cove Spa is our smallest fiberglass spa model that we offer! This makes it unique in both its size and installation capabilities. A spa of this compact size provides you with plenty of options for placement. Install the Cove Spa on an elevated surface (such as a high-rise building) or in a day spa. Additionally, the Cove Spa can hold up to 3 bathers due to its diagonal layout. 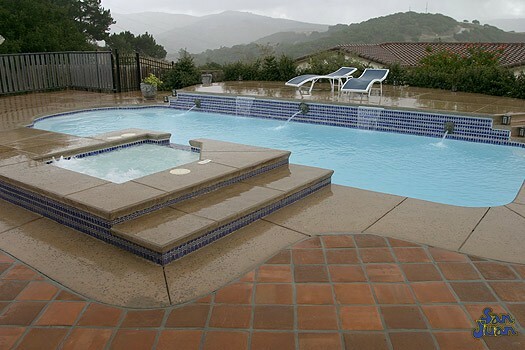 We recommend pairing the Cove Spa with any of our fiberglass swimming pool models. All of our fiberglass pools and spas are designed to work collaboratively together – boosting the beauty and functionality of your backyard landscape! 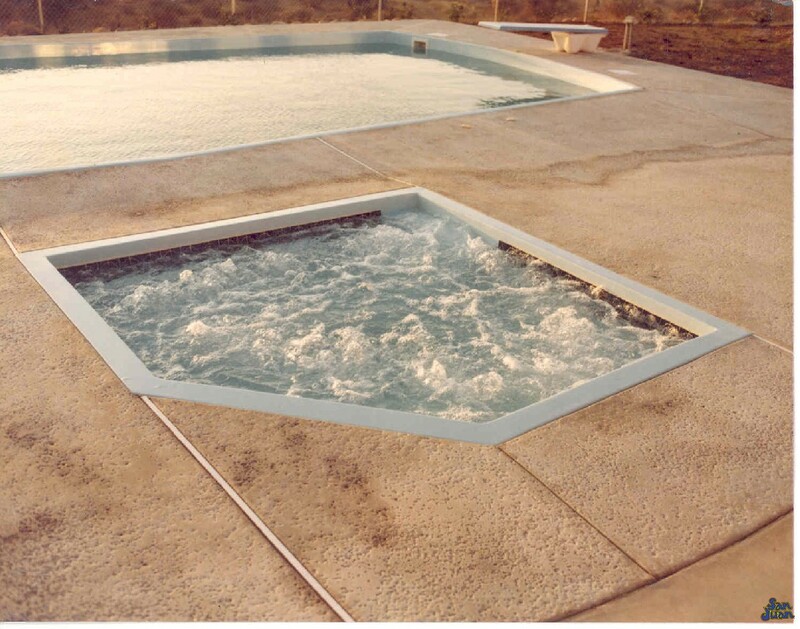 Now you can enjoy your fiberglass pool during the hot summer months. Then warm up in the Cove Spa (or any of our other fiberglass spas) when the seasons change and temperatures drop down. Additionally, the Cove Spa is excellent for physical therapy and provides a warm basin to relax sore and tired muscles. This is a unique fiberglass spa that provides ample benefits from health, relaxation, community or aesthetics! It’s hard to come up with a reason not to purchase the Cove Spa for your backyard! 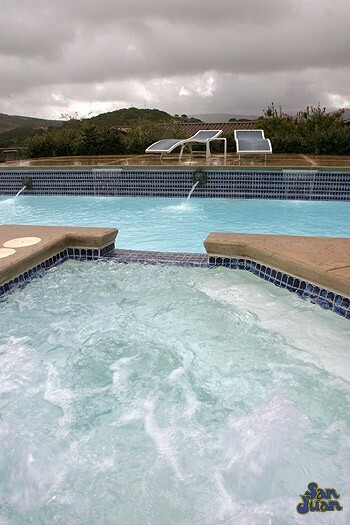 In conclusion, the Cove Spa is a unique fiberglass spa shapes that includes a 6′ 1″ x 6′ 1″ square layout. Because the seats are positioned at a 45^ angle to the layout of the pool, the seating arrangement is constricted to 3 bathers. In addition, the Cove Spa is a modern spa shape that is perfect for relaxing outdoors and can easily fit in nearly any space you want to put it. 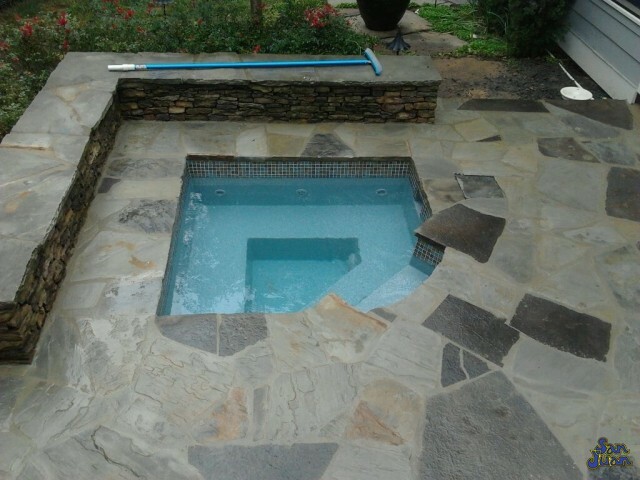 This is our smallest fiberglass spa that we have to offer. Lastly, we recommend pairing it with any of our fiberglass pool models. Please feel free to give us a call or view our Authorized Dealer List to receive some information for the Cove Spa today!